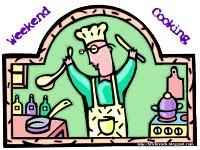 Weekend Cooking is a chance to share the food love with everyone and is organised by Beth Fish Reads. On Saturday mornings, write a post about food, perhaps a cookbook review or maybe just some favourite food-related quotes. I wouldn't normally review a cookbook, but when I heard about this one I really wanted to try it out. This book is written by Jack who is just 12 years old. 'So what' , I hear you say, well hold one frigging minute. There is something extremely special about Jack. Jack had recently gone into remission a second time from leukaemia! I kid you not. This kid is truly an inspiration to us all. He got into cooking whilst undergoing his treatment, where he would sit and watch the Food Network with his mum. He became obsessed with it and his mum would write down recipes from the shows so that they could make them when they got home. A year into Jack's second bout of leukaemia, with the help of his mother and her friend, he organised a fundraiser to raise money for paediatric leukaemia research at the Jonathan Jaques Children's Cancer Centre. The fundraiser was a huge success and Jack got to cook for over 320 people attracting the attention of CNN. This was just the start of his fund raising efforts and when his relapse treatment ended in January 2009, he became the spokesperson for the Beckstrand Cancer Foundation. This child is pure inspiration! ( Since the preface for this book was written, Jack has suffered a third bout of leukaemia and has only just recently began to pull through). After reading about Jack I knew I wanted to review this book and try out one of his recipes. So I chose Chicken Cacciatore. 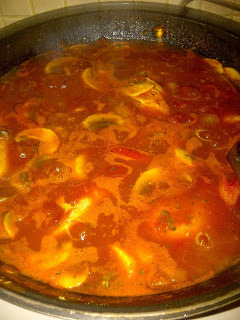 Now Chicken Cacciatore was one of the first recipes I ever learnt to cook when I was about eighteen, but I honestly haven't cooked it in years. 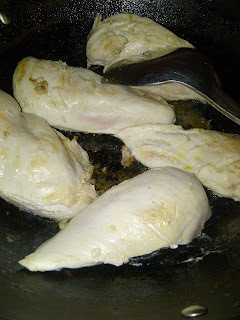 As I followed the American recipe, it was easy to see how it differs from a UK version of it. For instance, I became aware of how much salt and sugar was added to the recipe, which is something we have learnt to cut back on in the UK .For me, quite a lot seemed to be added, but I kept to the guidelines of the recipe and it tasted lovely when finished. The American recipe served it with Parmesan and linguine, where I would normally just serve it with vegetable and new potatoes. 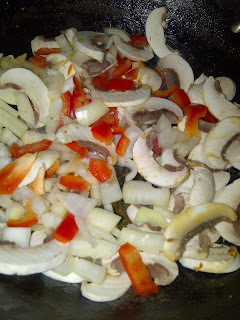 It was definitely good to try it a different way and my girls loved the linguine. As I cooked the vegetables, the smell of garlic took over the kitchen. It was such a lovely smell. 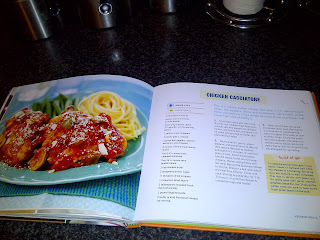 Thankfully the book gave a conversion chart at the back, so that I could convert the ingredient measurements to metric. Otherwise I would really have struggled to work it out. Once the sauce had boiled down quite a bit, it really was tasty and I served it as stated with linguine as well as some ciabatta garlic bread on the side. I had hoped to take a picture before I ate it, but I was just too hungry and it smelt far too good to let it go cold. One of the things I loved about this book was the opportunity to 'twist it up'. With each recipe, Jack would provide you with a way of changing the recipe to suit you. 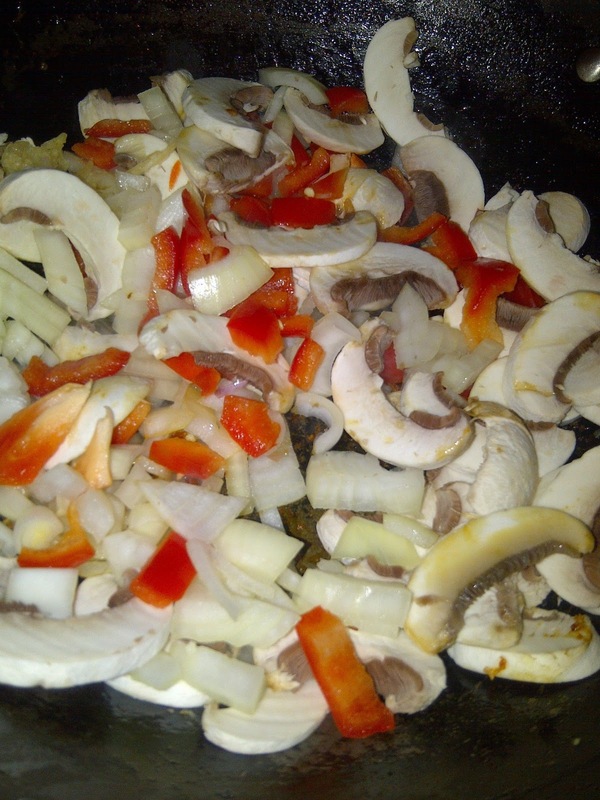 With the Chicken Cacciatore recipe, he mentioned adding some cream to the recipe, to make the sauce thicker. 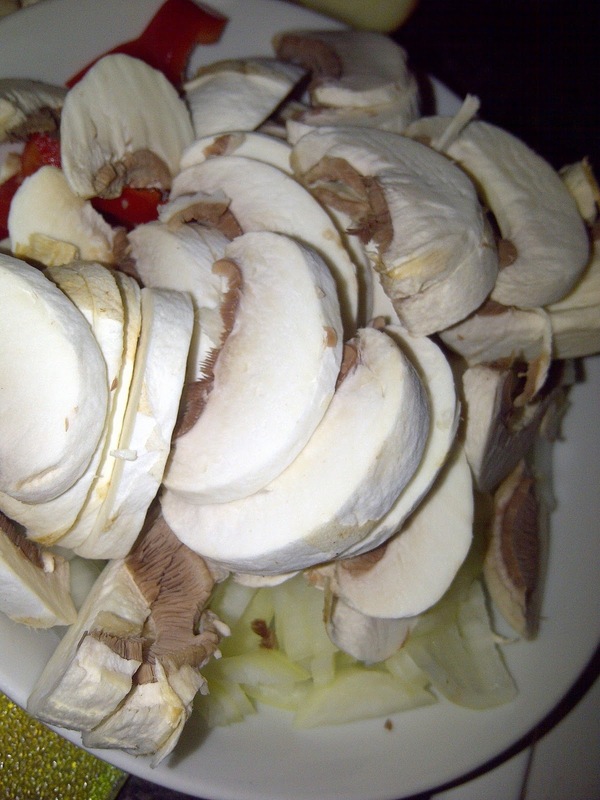 Also the recipes are easy enough to do with your children; my kids really enjoyed cutting up the vegetables and preparing the dish with me. This recipe was really easy to use and I look forward to making more recipes from the book. I have my eye on Jack's Carrot Cake with Cream Cheese Frosting. If you are looking to by a cook book, I would definitely recommend this one. Not only do you feel inspired to cook by a very brave eleven year old, but you also contribute to the Jack Witherspoon Endowment Fund. A portion of every book sold goes to support the research of leukaemia in children. Thank you Abrams and Chronicle Books for letting me review this book. Good luck to Jack who I hope makes a full recovery soon. As a mother, my heart goes out to this courageous little boy and his family and I wish them all a hopeful Christmas. To find out more about Jack and his progress, please click here. Jack really does sound like an inspirational kid. I'll have to look for this cookbook. Oh, and yes, we do add too much sugar and salt to our food in the US, but I generally cut back on both when I cook. This sounds like a great book and a great cause both. My youngest loves to cook (he'll be 8 in March) and I'll bet he would love this. Maybe we can find it for his birthday. Oh I think I may have just discovered what I am making for dinner! YUM! Jack does sound like an inspiration! This sounds like a great cookbook. 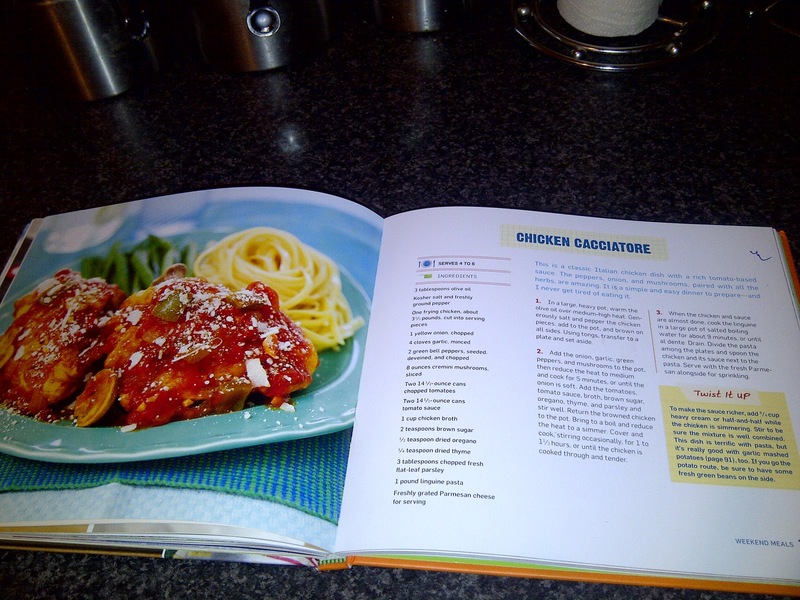 The Chicken Cacciatore recipe sounds delish. This sounds like a great book and Jack is an inspiration. My favorite chicken cacciatore recipe uses a crock pot and has no added salt or sugar. I love carrot cake, too! What a special book!! I haven't heard of it but I'll keep my eyes open (I'm a cookbook glutton).